After much effort I come to the final assessment of the English squad. The wide midfielders or wingers as they are called. Ashley Young-The former Aston Villa man has been simply superb at Manchester United this season. Ever since his debut his brilliance on the left wing has simply put people in awe. There is no doubt in my mind that he will make the First XI left wing spot hands down. Despite having a few injury concerns which has had him come and go in the United Squad he has always been first pick when fit. Having fully justified his approximately 20 million price tag since his transfer he will provide much needed flair and pace to the English game. Only thing in his way is that he needs to keep himself fit as he has appeared a bit fragile at times. James Milner- Another former Villa man (makes you wonder about the quality of Villa’s squad under Martin O’ Neill) and now Manchester City player, James Milner is as good as they come. 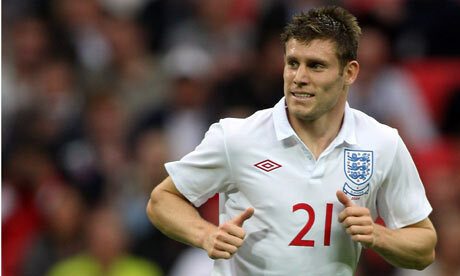 After proving his Premier League exploits at the 2010 FIFA World Cup he made a big money transfer to Manchester City. Widely preferred in the first season he now has lost his place on the right wing to Sergio Aguero, but this seems to have worked out in his favor in having developed the ability to play as a central midfielder too. This ability coupled with his experience sees him on the plane to Poland-Ukraine. 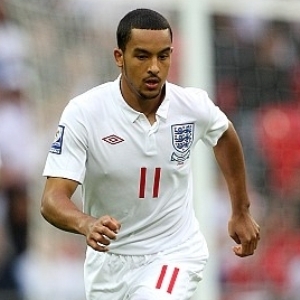 Theo Walcott- Although I dislike Arsenal (to the point of almost hating it) Theo Walcott is among the few Arsenal players I enjoy watching. Extremely agile and creative he is one of the few players who on their day can run riots around opposing defenders. Yet unfortunately for Walcott those days don’t come often enough. His inconsistency has been among one of the prime reasons for his repeated selections and quick departures from the English National Squad. If he is in form his flamboyant partnership with Ashley Young in the wings would complement the stability and accuracy provided by Lampard/Gerard to decimal spots. 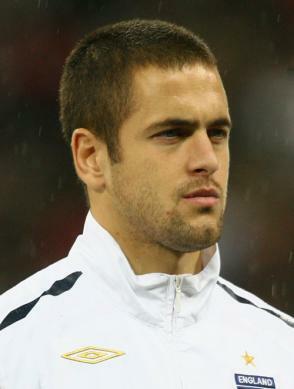 Joe Cole- The former Chelsea veteran had a terrible season at Liverpool before he decided to move to French champions Lille for this season on loan. Truth be said he has shown what he is capable of doing. Having already notched a hat trick once and having provided numerous assists and crucial goals, he has surely resurrected his flagging career and is once again in the race for the EURO squad spot. His partnership with Eden Hazard across flanks has stunned his critics and a permanent switch seems imminent. 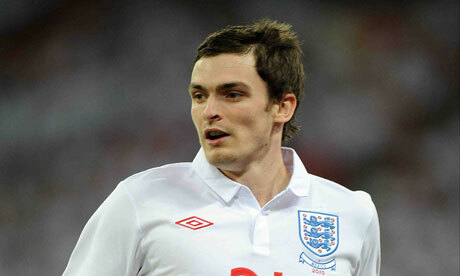 Coming back to national statistics he will prove efficient on either wing and can also spearhead the attack if needed. His speed at the death when opposition defenders are tired is a known threat. Adam Johnson- This Manchester City player is truly among the few players whose career at big clubs have been limited to bit roles and impact performances. Something players like Salomon Kalou and Dirk Kuyt have mastered. Coming in late his accurate crosses and defense splitting passes have been well documented. The former Middlesborough man is a unique supersub like Joe Cole who has provided consistent performances from the bench. Although yet lacking a bit experience to be first team material he just might make it to the EURO squad. David Beckham- The grand old man of English Football after some legendary spells at Manchester United and Real Madrid moved to the relative ease of United States football which couldn’t hold much of his interest seeing him return to Europe for decent spells at Italian giants AC Milan. An Achilles injury prevented him from joining the 2010 FIFA World Cup squad but a fantastic season at Los Angeles galaxy in which he made probably more appearances that all the previous seasons put together has put him on the path for a shock return to the English side he once proudly and successfully captained. Known for his thunderous free kicks and ability to play in the right, left and central midfield position, he is an asset to have in the team and a true motivational genius. Having led Los Angeles Galaxy to an MLS League triumph this year, he is in fine form. The EUROS would be a fine farewell to the International scene for one of England’s and the World’s true superstars.